Custom paperweights exist everywhere since stacks of paper can so easily go flying with the slightest draft. 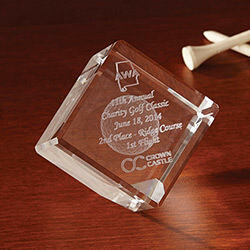 Give clients and employees a useful desk item and promote your business simultaneously with the custom promotional paperweights at IASpromotes.com. 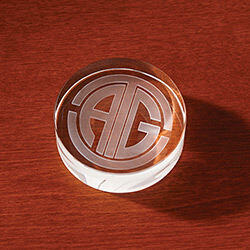 These styles of custom paperweights are designed to be beautiful gifts when personalized with your brand. 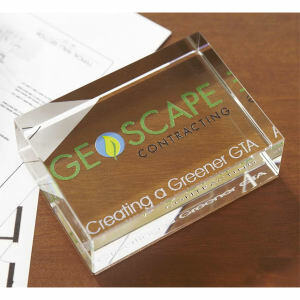 Give colleagues an etched crystal paperweight to recognize their accomplishments and it will sit with pride atop their business papers. 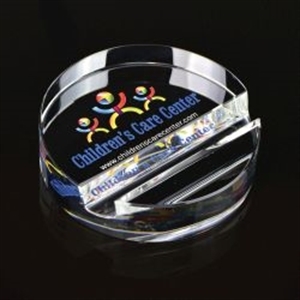 With a variety of custom products in different colors, materials and designs, these promotional paperweights are ideal to be imprinted with a corporate logo and business name. Our sales representatives are ready to help you with any customizing questions you may have, so get started today!